WEST NEW BRIGHTON, New York (WABC) -- Staten Island Chuck went out on a limb - or on his case, a log -- Tuesday morning and did not see its shadow, predicting an early spring. 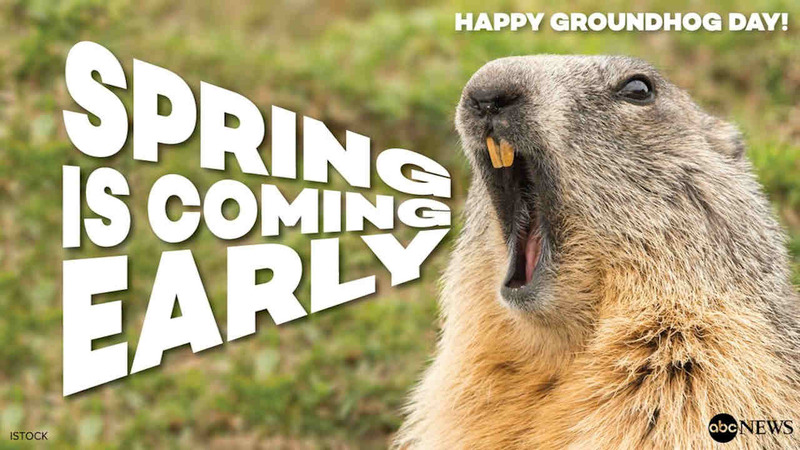 Punxsutawney Phil also predicted an early spring, a no-brainer in this year's above average winter. Staten Island's famed groundhog is correct 67 percent of the time, according to zoo officials, who distributed his prediction record over three decades. New York Lt. Gov. Kathy Hochul was the officiating dignitary at this year's Groundhog Day ceremony. New York Mayor Bill de Blasio skipped the ceremony this year because he was campaigning in Iowa. Comptroller Scott Stringer said Chuck asked whether "the big man" was coming, and when he learned he wasn't, "he breathed a sigh of relief." Staten Island Chuck has been delivering his weather predictions for over three decades. In 2014, when a groundhog named "Charlotte" handled the prediction, de Blasio dropped the groundhog, who died seven days after the fall.